At SW our customers’ needs are our top priority. We work hard to ensure that each job is done with 100% care, ensuring that every customer is satisfied with the end result. We will strive for excellence by building our working principles into everything we deliver, and into how we operate as a business. 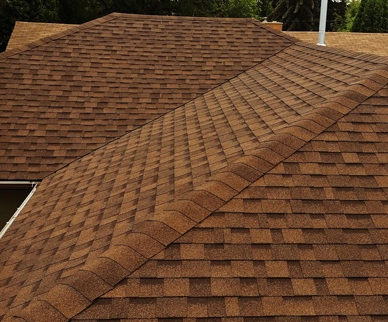 Asphalt shingles are thinner and slightly less expensive than laminated or architectural asphalt shingles. 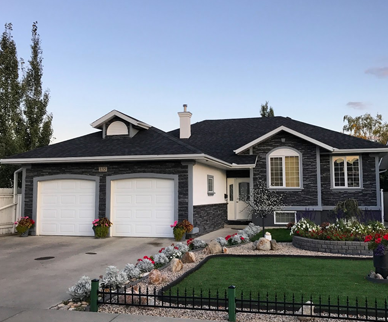 We back all our projects with a 10 year workmanship warranty on roof installations because we stand behind the quality of workmanship that you will receive from our crews. We will also be here to service all roofs installed by us to the end of their life expectancy. We take every project with pride. With 15 years experience in the industry, we are confident in every project. Check out what a day on the job looks like! Some praise from our customers! 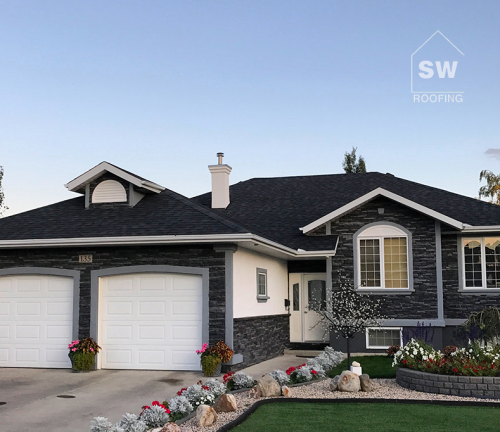 We are extremely proud to be considered the best roofing company in Saskatoon and the nearby areas. 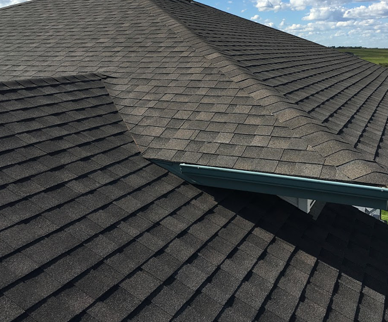 We provide the highest caliber of residential roofing services completed by highly trained professionals using premium materials. When you expect exceptional workmanship and superior craftsmanship, there is no need to look anywhere else. You can feel confident knowing that our roofing contractors will make your project a priority ensuring the best results for you. As one of the premier roofing companies in the local area, we take pride in a job well done. We stand behind the quality of our services and always make sure to deliver the very best for every homeowner. Whether your home needs a new roof or you need hail damage replacements, we can provide you with the right solutions. 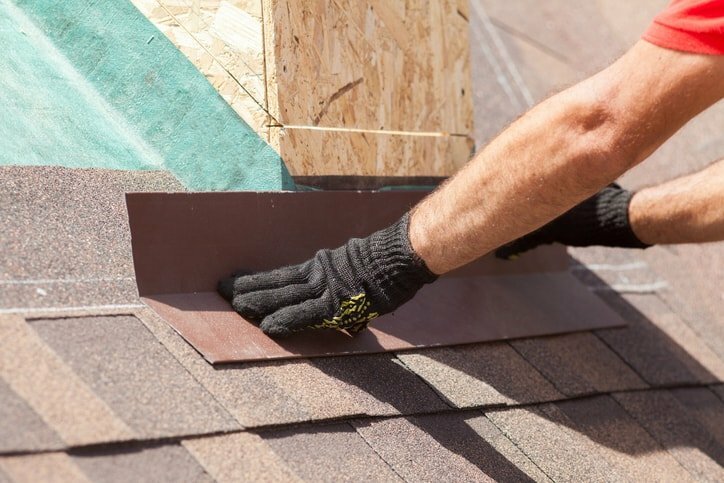 Our roofer offers everything from insurance claims, installation, replacement, repairs and much more. 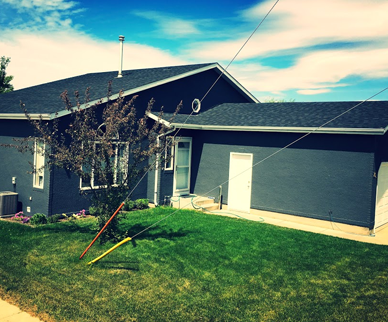 We offer asphalt shingle’s which are thinner and much more affordable when compared to more traditional asphalt solutions. 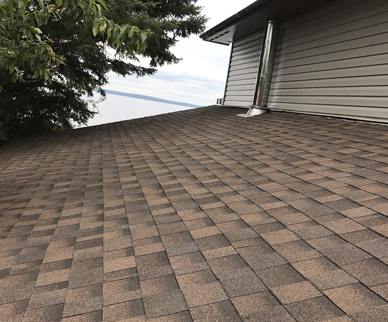 Our asphalt roof shingles will last just as long and provide the same aesthetic appeal as laminated or architectural shingles. Contact us any time for the best shingles installation, hail damage replacement, and affordable services. 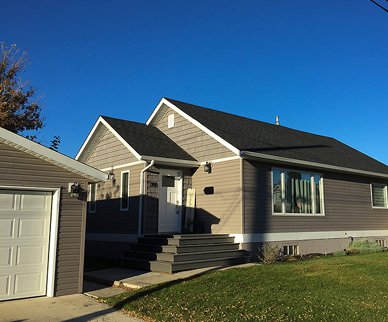 Give us a call to request an estimate on services by calling us at (306) 994-4866 today! We look forward to providing you with an exceptional customer experience!